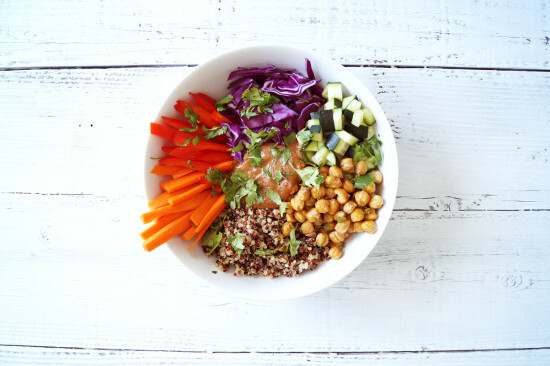 Tired of the same, old, boring lunches? You’re in luck! 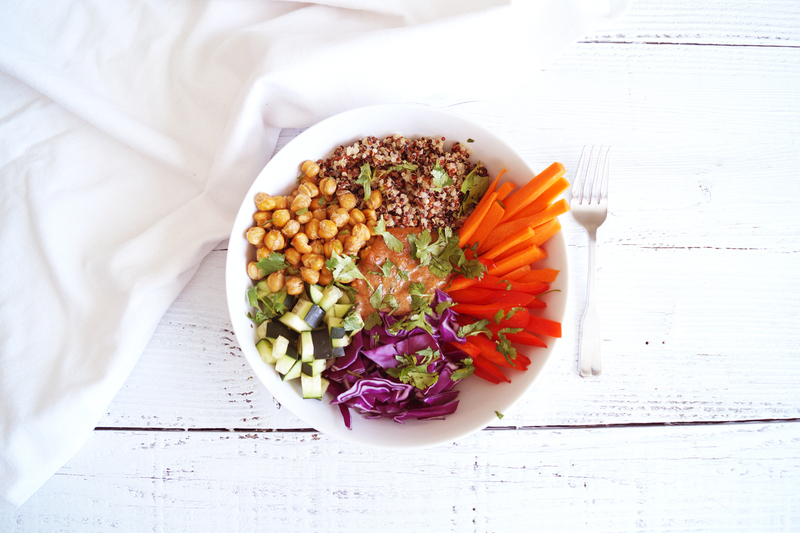 Today I’m sharing 3 healthy lunch ideas that are full of flavor and also…. 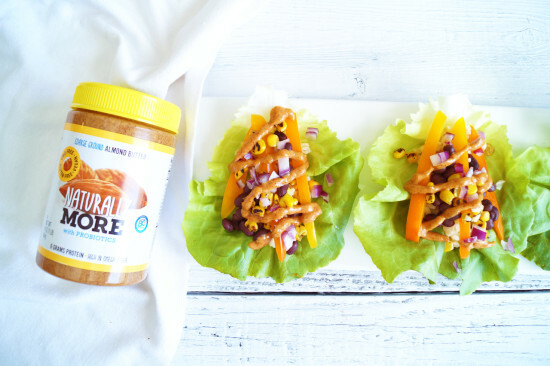 Almond Butter! 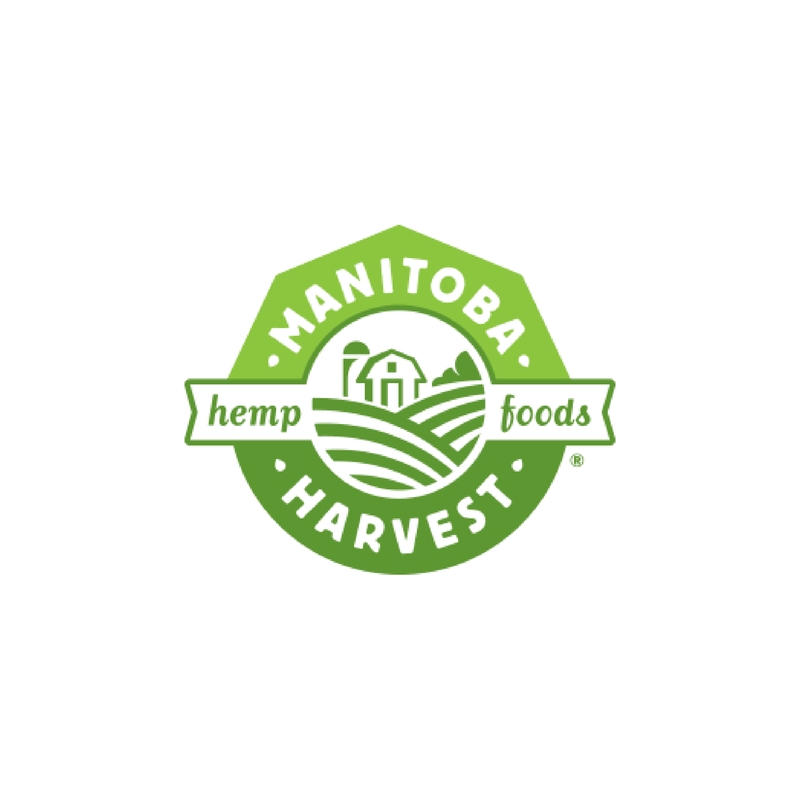 As you know, at Healthy Grocery Girl we love to discover and share with you yummy products that makes it easier to eat well. 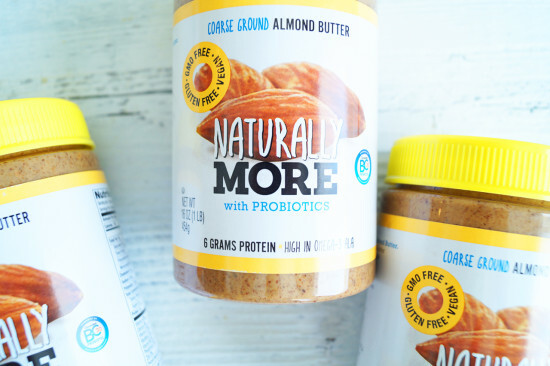 Today’s “Grocery Find” is Naturally More Almond Butter which I love because it’s tasty, is totally wholesome with natural ingredients and is packed with probiotics! Probiotics are “good bacteria” that can help improve digestive health (which may help reduce gas and bloating woot woot! ), boost our immunity and can even support hormone balance. Wow! Those are some helpful little bacterias.  Check out today’s new video & let me know in the comments which recipe you’re most excited to try first!! A great lunch or dinner! 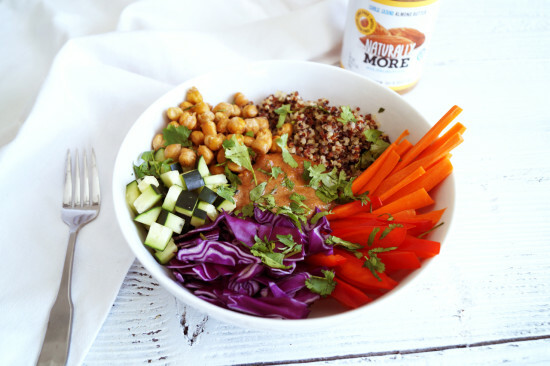 When your chickpeas have finished cooking, add everything into a bowl and top with thai almond butter sauce. Enjoy! 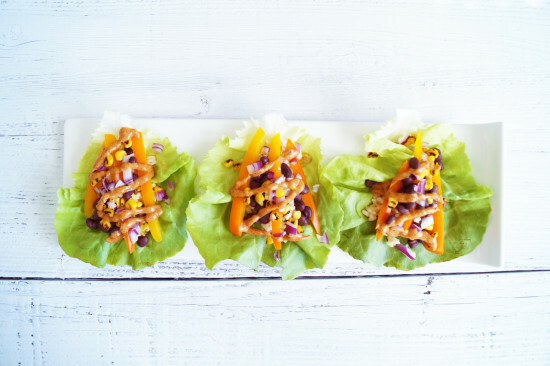 This recipe makes 8 lettuce wraps. 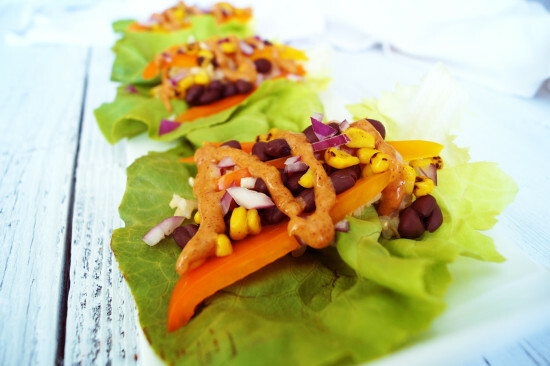 For adults typically 4 lettuce wraps are serving. 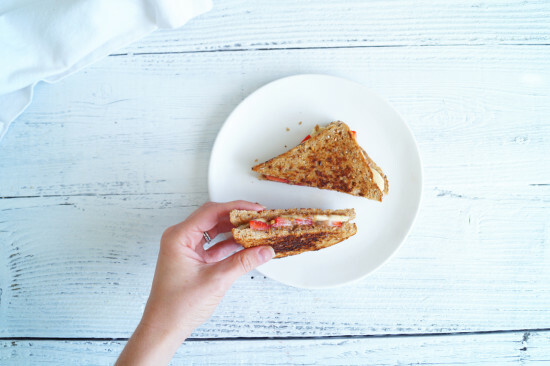 This is like grilled cheese but completely dairy-free! 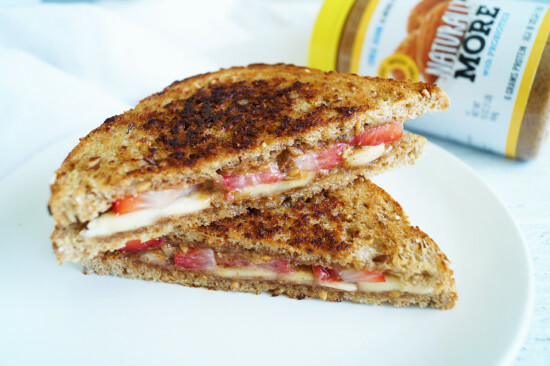 Made with almond butter & fresh fruit it's so decadent and satisfying! Disclosure: This video & post is sponsored by Naturally More. All opinions stated are my own. 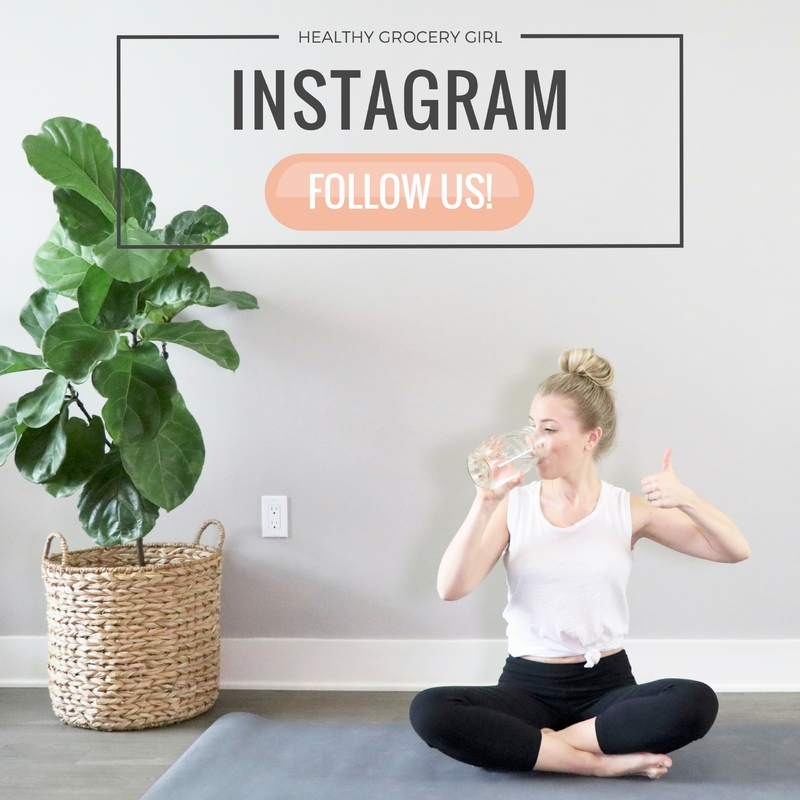 At Healthy Grocery Girl, we only partner with brands and products we genuinely enjoy and want you to know about! 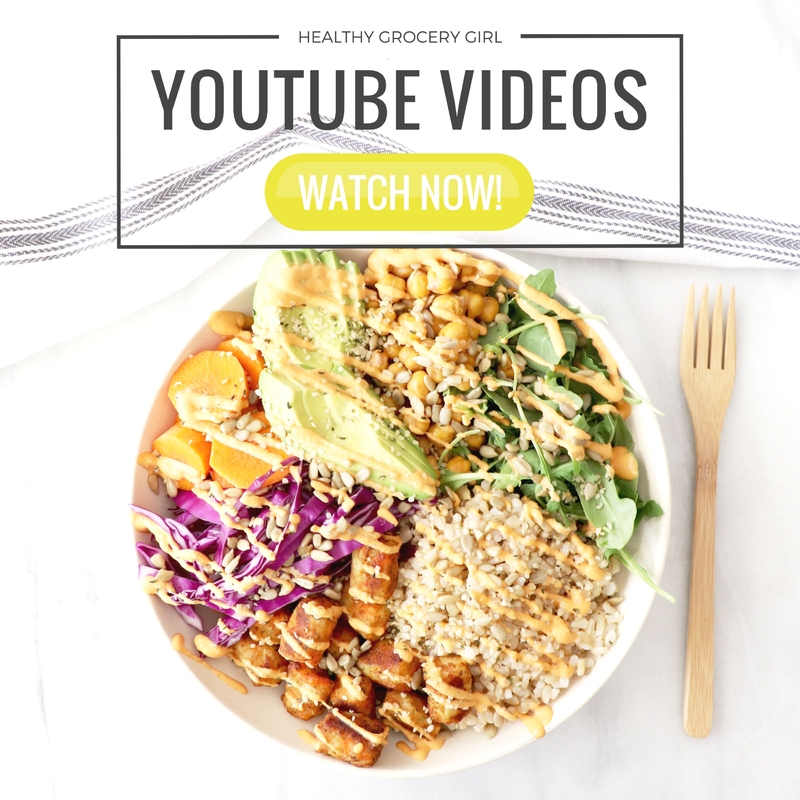 Sponsors support Healthy Grocery Girl so that we can continue to create & provide videos & blog posts that are free for our community to enjoy.